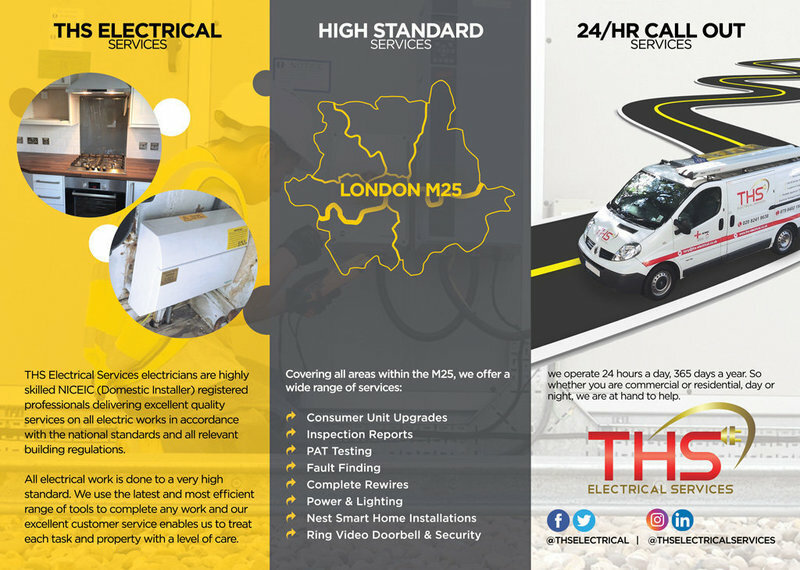 THS Electrical Services provides professional and excellent electrical work around all areas of London. 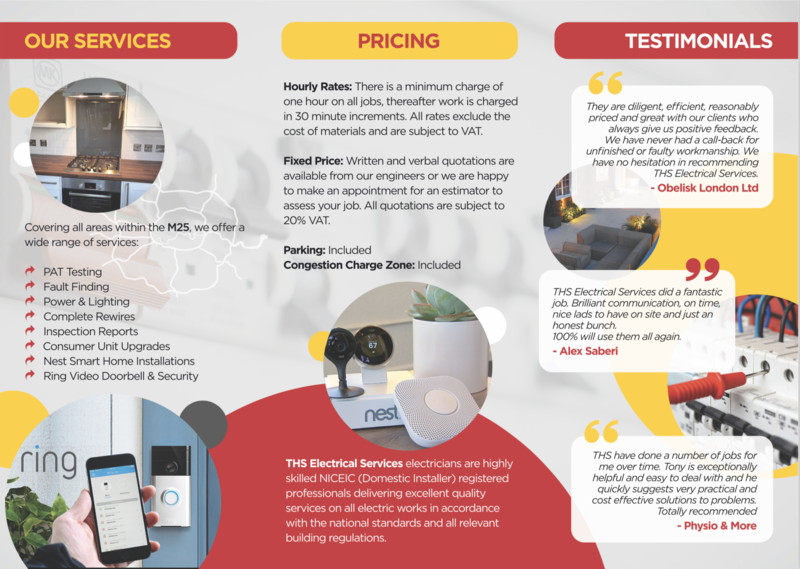 I am a fully qualified electrician and I have been in the industry for over 9 years. I hold full Part-P and I am registered with the NICEIC. 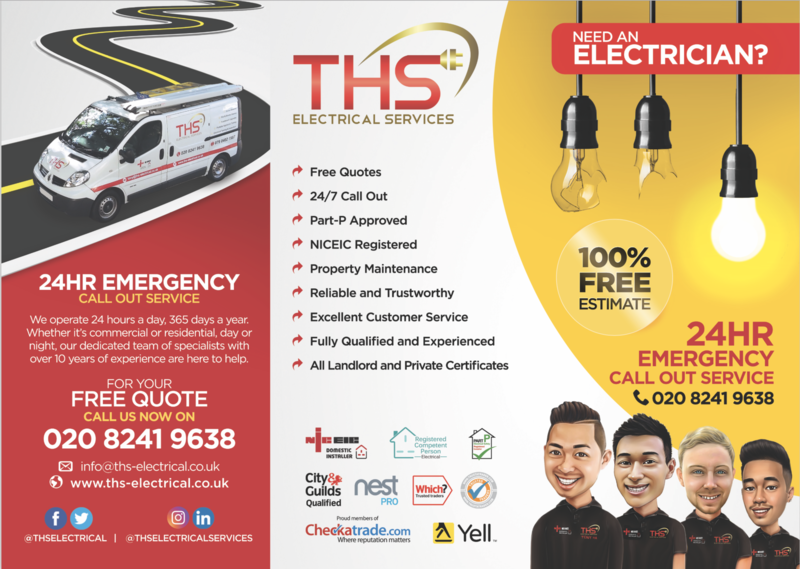 THS Electrical Services is fully stocked with all the basic household electrical materials, so 90% of the time we would be able to complete all call out jobs within 1 hour & will not need to charge you for a re-visit due to lack of materials. 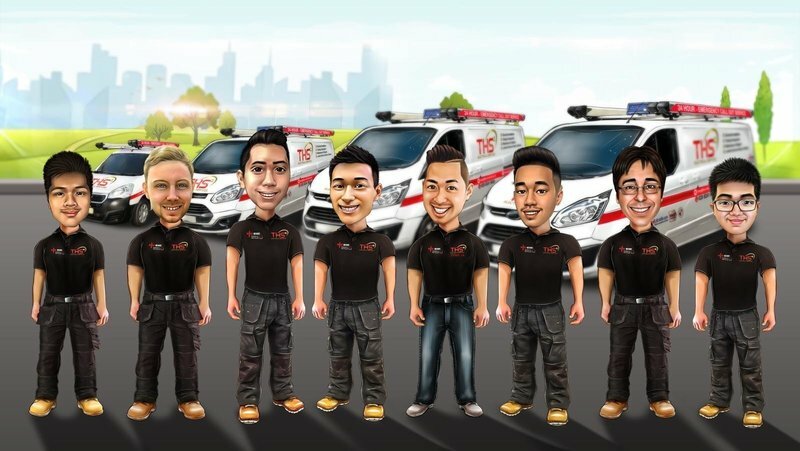 After Will I Am plumbing & heating (who are also great) recommended them, they came to investigate and fix an electrical fault with a shower isolation switch. They were quick, friendly, efficient and left no mess. An excellent, fast worker. Very cheerful and exact. Gave maximum confidence. Completed the work professionally and in the time estimated. Twelve out of ten in my book. Bathroom electrical solution for electronic toilet. THS came up with a bespoke, creative, cost effective solution for electrical supply to the bathroom. Turned up between the times they said they would, polite efficient, considerate work. Would definitely use again and recommend. 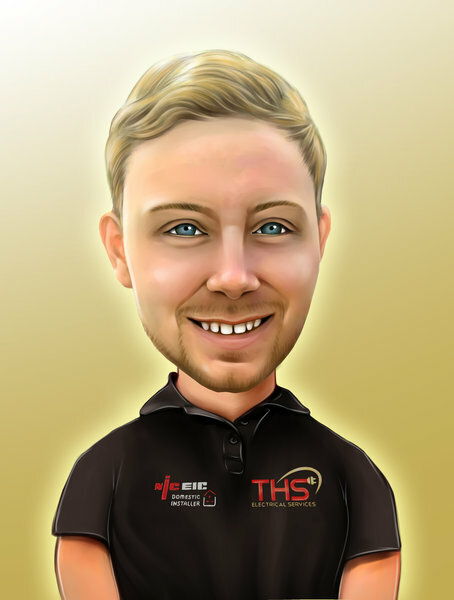 THS were very responsive and showed they wanted to provide a good service, helpful, nice people to deal with. Tony is an extremely nice and helpful chap who came when he said he would on time. 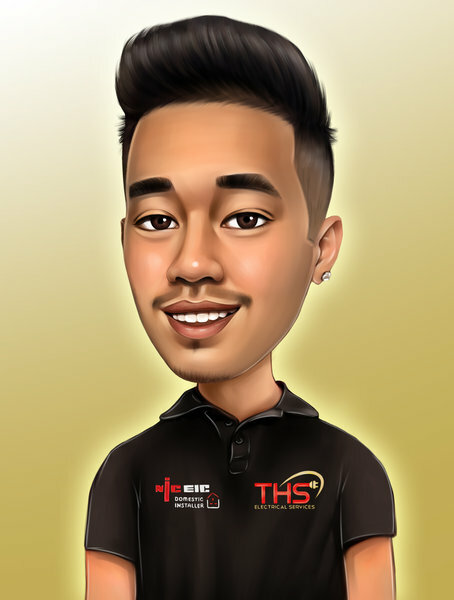 It was great to speak to someone who was serious about coming to fix my problem and not having to wait around for someone to come like other companies. Tony obviously is a very good electrician and very professional. I would highly recommend using his services. fast for a call out for out of hours jobs!! Fantastic! Came out quickly for an emergency on Saturday afternoon and left the house with means of power until we could really get to grips with the issue during the working week! Thanks Tony! I'd lived without these lights for several months, and had tried a couple of contacts and friends' recommendations without any luck. Then I responded to a leaflet THS had put through the door and was lucky that Tony was able to come round the same day! He gave me a rough price, then made a shopping list for me to order the things myself so that I could choose the lights. Then we agreed a date and he came with his apprentice at exactly the time he said he would come. They were very polite and friendly and cleared up perfectly. I would definitely recommend them to others, as I am delighted with the result. 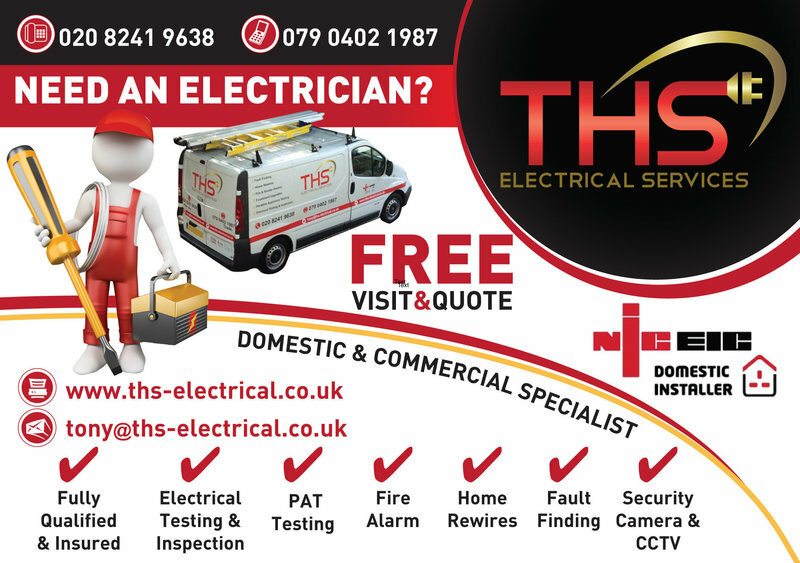 THS Services fitted and supplied a new fan for my bathroom. 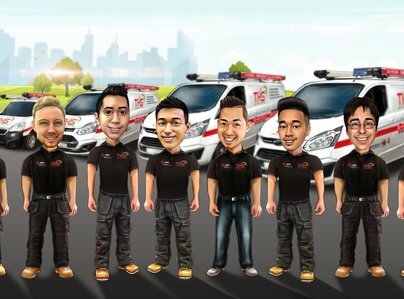 The service provided was extremely professional from supplying a quote, booking a convenient appointment time with a short arrival time slot (perfect for working customers) and satisfactorily carrying out the job requested. The engineer was extremely cordial and efficient. I couldn’t be more satisfied. 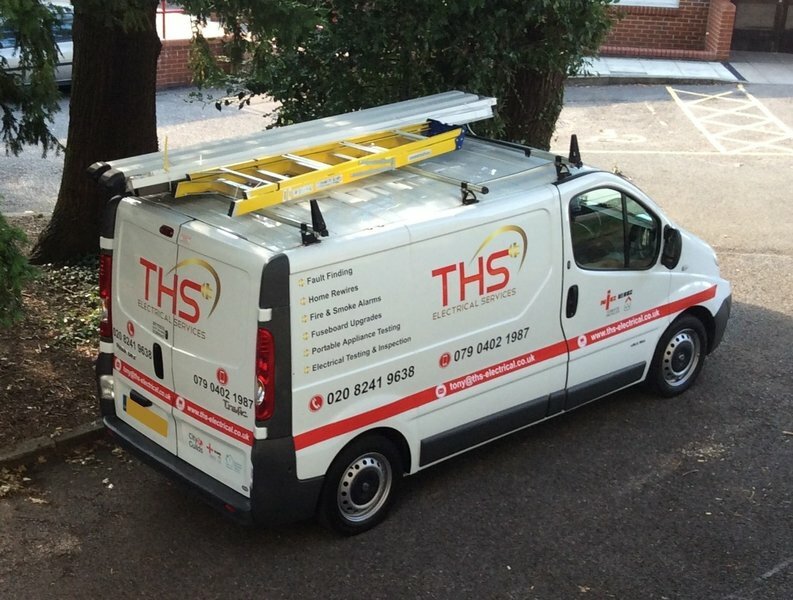 THS Electrical Services provided an outstanding service when we called them at 11.30pm on a stormy Saturday night for help in an emergency. Several other companies I called could not help before Monday, but my 94-year-old mother-in-law was without heat because some of her power was out. Tony Ha (Director) assured me he could be there in 20 minutes and would report back. Well, he went above and beyond - the problem was a rat had chewed the cable and died in the process. Tony removed the corpse, re-established power and left my mother-in-law reassured and happy. He provided assurance to us as well by maintaining good contact, providing (gory) photos of the scene and his remedial work. He made a point of not showing my mother-in-law what had happened so as not to distress her. 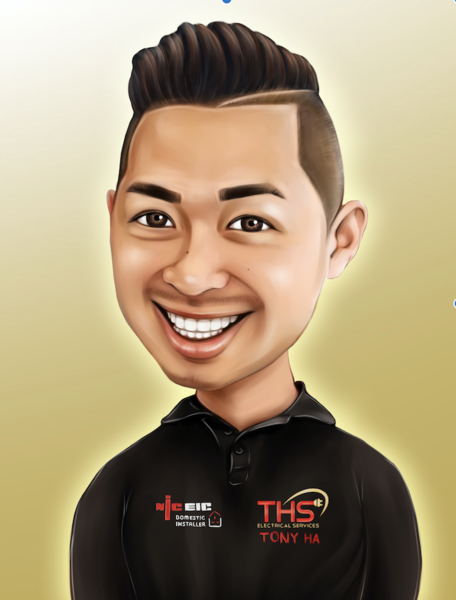 We couldn't recommend him highly enough for his promptness, reliability, compassion and professionalism. I called Tony in the morning. By afternoon we had agreed a price and he replaced my halogen transformers and switched my security light. Responded really quick and good value. What a nice guy. He certainly will be called again for any future electrical jobs. Thanks Tony (and Kevin).